Income inequality is of major concern in the United States. While the rich continue to grow richer, wages have largely stagnated among middle- and low-income groups.1 Growing research suggests that this stagnation affects far more than just how much is in people’s bank accounts. According to a 2016 Journal of the American Medical Association (JAMA) article co-authored by Center for American Progress (CAP) senior fellow David Cutler, income is correlated with life expectancy.2 The study determined that as income rises, life expectancy increases. It also found that the difference in life expectancy between the lowest and highest income quartiles—the top and bottom 25 percent of income earners—varied across geographic locations and increased over time. According to the JAMA study, health behaviors including smoking, obesity, and exercise may explain some of the geographic variation in life expectancy for the lowest income quartile. In a previous issue brief, CAP outlined state and local tobacco use prevention policies to help address growing inequality in life expectancy.3 Similarly, this brief discusses existing policy initiatives at the state and local levels that may be effective in promoting healthy eating and exercise and, as a result, begin to close the gaps in life expectancy between low- and high-income individuals across the nation. Evaluating the relationship among income, obesity, exercise, and life expectancy is complicated; there are many factors driving each piece, some of which are still unknown. Yet progress has been made: From increasing access to whole, fresh foods to encouraging increased physical activity, public health officials across the nation are employing creative approaches to boost the health of their communities. A number of federal, state, and local policies have begun to tackle the complex factors that affect the relationship among obesity, healthy eating, and exercise. The following sections outline several recent federal and local initiatives, providing some examples of ways governments can work with individuals and communities to improve health outcomes. State and local officials should invest as much as possible in creating and evaluating pragmatic, multisector policies to improve health outcomes. Examples of strong public policies to address obesity and exercise include sugary beverage taxes and investments in walkable communities. However, cities and states should also create programs that best address their specific needs. The sections below outline specific public policies and efforts in Baltimore, Maryland, and Boulder, Colorado—places that have implemented strong public policies to increase the health and well-being of residents in their communities. Unless otherwise noted, the information in the following case study sections was collected through phone interviews between CAP and individuals at the Baltimore City Health Department, Baltimore Food Policy Initiative, Boulder County Housing and Human Services, and Boulder County Public Health.44 Where possible, CAP supplemented information collected through the interviews with additional public information and resources. 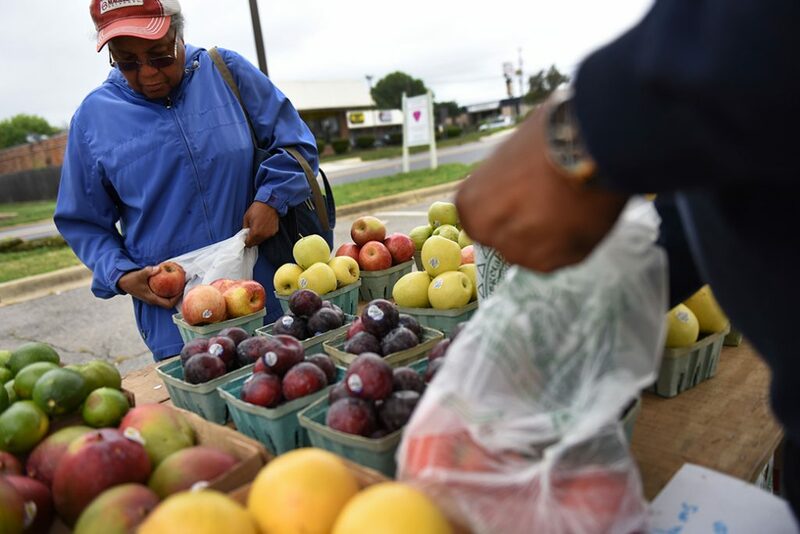 Baltimore has taken a holistic approach to food policy across the city, using it as a mechanism to address economic and racial disparities within and across neighborhoods. In 2010, the city created the Baltimore Food Policy Initiative, which brings together the Department of Planning, Office of Sustainability, Baltimore City Health Department, and the Baltimore Development Corporation to work to “improve health outcomes by increasing access to healthy affordable food.”45 This initiative has many different components, some of which are highlighted below. A key component of changing the food environment in Baltimore is community engagement. To that end, the city also created the Resident Food Equity Advisors program, which aims to include residents in the policymaking process.53 Resident advisers are selected through an application process and engage with policymakers to inform decisions and make recommendations on food policy.54 Residents’ primary motivations for joining this group include relationships within their community, race-related concerns about food access, equity issues, and personal experiences with health and diet-related illnesses such as diabetes and cardiovascular disease.55 While the resident advisers’ primary focus is food policy, they also aim to develop wealth-building strategies around food, such as supporting minority-owned businesses. These efforts, in tandem with others, are working to create a new food policy environment for Baltimore residents. In 2016, voters in Boulder, Colorado, passed a Sugar-Sweetened Beverage Product Distribution Tax through a ballot initiative.56 The tax—which took effect on July 1, 2017—applies to distributors, charging a 2-cents-per-ounce excise tax on certain sweetened beverages.57 Passage of the tax was a community-driven effort led by the Healthy Boulder Kids campaign in conjunction with Healthier Colorado.58 After passage of the ballot initiative in November 2016, many of the details of the tax’s implementation were addressed by the Boulder City Council on a quick timeline. Importantly, however, the tax does not require the distributor to pass the price increase onto the consumer. Distributors could choose to absorb the tax, meaning that people who purchased the drink could never see an increase in price. Therefore, the tax may not actually lower sugary beverage consumption as much as it otherwise could if consumers were aware of the increase in price and factored it into their consumption decisions. The money collected by the sugar-sweetened beverage tax has been used for health promotion and chronic disease prevention in Boulder, particularly for low-income residents. The city formed a Health Equity Advisory Committee, which now includes nine members, to review funding applications and make recommendations on the use of tax revenue to the city manager.63 In addition, the committee is tasked with defining outcomes and developing strategies for how best to engage target communities.64 City officials stress the importance of promoting where the funding is going in order to better engage community members. Across the country, localities are engaging in initiatives to improve the health and well-being of communities and begin to tackle obesity rates. These efforts include sugary beverage taxes and projects to promote physical activity and walkability. Healthy eating has also been a focus of many national and local initiatives. These polices­—and many others— have the potential to improve health outcomes and even increase life expectancy, particularly for lower-income populations. To sustain these initiatives and promote further progress, the federal government must work as a partner to state and local communities to provide consistent standards and robust federal funding. Theresa Chalhoub is the former senior policy analyst for Health Policy and the Women’s Initiative at the Center for American Progress. Madeline Twomey is the special assistant for Health Policy at the Center. Rhonda Rogombe is a former intern for Health Policy at the Center. This publication was made possible in part by a grant from the Peter G. Peterson Foundation. The statements and views expressed herein are solely the responsibility of the Center for American Progress. *Correction, November 28, 2018: This issue brief has been updated to reflect the correct percentages of Baltimore, Maryland, residents living in priority areas.